Sometimes you feel like a $300 smartphone under contract. Sometimes you don’t. The Moto G from Motorola is a new option for those who don’t. Starting at $179 without a contract, it’s far less expensive than a premium unlocked smartphone, like Apple’s iPhone 5 or some of Samsung’s Galaxy phones. 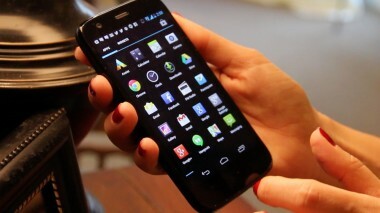 But unlike budget phones that reek of “cheap,” the Android-based Moto G is sturdy and sleek-looking. I’ve been testing the Moto G for the past week, after previously having some experience with the Moto X, Motorola’s new-ish flagship phone. (The two look so similar, they could probably be swapped in a dark bar without notice.) 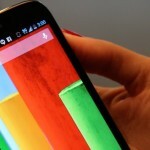 I’ve also used the Nexus 4, another unlocked Google phone. Overall, the Moto G is a really solid midrange phone with a nice price. It actually surprised me when I pulled it out of the box. If I hadn’t already known it was a “budget” phone, I wouldn’t have categorized it as such. But there are some trade-offs, as you might expect. So if you’re looking for a smartphone with all the bells and whistles of modern smartphone technology, then the Moto G might not do it for you. For example, it doesn’t support 4G/LTE — the fastest wireless data — and it’s just okay in the camera department. Also, it doesn’t have some of the key features its superior cousin has, like touchless voice control or the ability to activate the camera by shaking the phone. 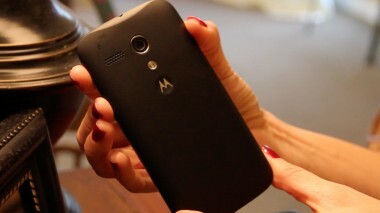 And for now, Motorola is only selling a GSM version, which means that it works with AT&T and T-Mobile’s networks. The company has declined to comment on exactly when a CDMA model will be available. 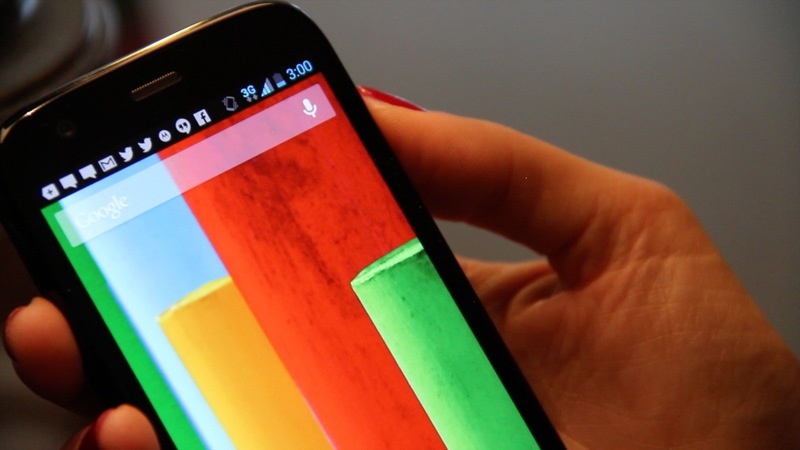 Like the Moto X, the midrange Moto G is somewhat customizable. The rear shells can be swapped out for a variety of colors — though not wood or bamboo, which Moto X can boast. An eight gigabyte version costs $179, while a model with 16GB of storage will run you $199. 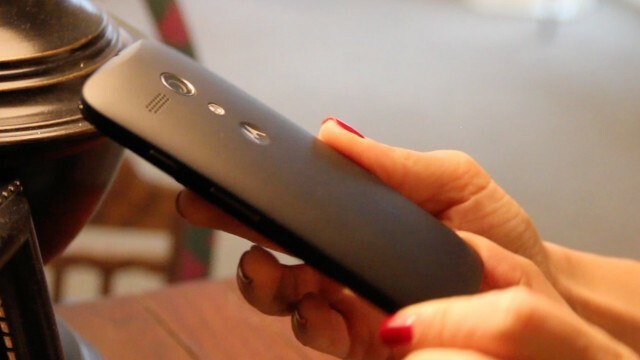 The polycarbonate, water-resistant Moto G has a smooth, curved back, and is thicker than the Moto X, measuring 5.1 by 2.6 by 0.4 inches at its thickest. It’s also heavier than the Moto X, clocking in at 5.05 ounces, compared with the 4.8-ounce Moto X.
I gave the phone my personal run test, which means that I went running with it for a few miles, holding it in my hand the whole way. Usually, if a phone is on the heavy side, it starts to feel like a brick after a while. The Moto G felt good in the hand even after an extended period of time. Around its edges are the standard power button, volume control buttons, microUSB port and microphone. At the top, there’s a 3.5mm headset jack. There are no physical buttons on the front of the phone. An LED indicator light flashes up on the upper left-hand side. 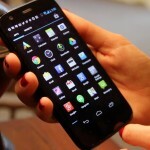 The Moto G has a respectable 4.5-inch 720p LCD touchscreen display, with a pixel density of 329 pixels per inch. Once again, it doesn’t compare with super high-end smartphones, but the display still looked pretty crisp and bright. The phone is powered by Android, version 4.3 Jelly Bean, with Motorola promising that the phone will be upgradable to 4.4 KitKat, the next version of the operating system. Refreshingly, it lacks a lot of the bloatware — extra or carrier-specific apps — that come preloaded on some budget smartphones. One of the signatures of a high-end smartphone these days is a super-fast processor. This is another area where the Moto G falls just short: It has a 1.2GHz quad-core Qualcomm Snapdragon 400 processor, whereas the Moto X has Motorola’s X8 “computing system,” new iPhones have Apple’s A7 chips, and Samsung competitors claim an octa-core chipset. Still, I ran multiple apps simultaneously, while also streaming YouTube videos or searching the Web, and didn’t find the phone to be noticeably sluggish. Call quality was also good, though I found the sound to be better when I wore headphones than when I put calls on speakerphone. I was impressed by the Moto G’s battery life, which might be credited at least partly to the fact that it’s not streaming data over 4G. In my first battery test out of the box, it lasted about a day and a half. Even in a harsher battery test, where I popped up the display’s brightness, connected intermittently to Wi-Fi and used apps like Twitter, Facebook, Gmail, Google Maps and more, the Moto G lasted from 10 am until about 4 am the next morning (when I woke up for an early flight). Last but not least, there’s the camera. In the past year, new smartphones have really raised the bar with their high-megapixel camera sensors. Consider the iPhone 5s, the Nokia Lumia 1020, the LG G2 and the Samsung Galaxy S4. The Moto G … well, it isn’t these. It has a five-megapixel rear camera and a 1.3-megapixel front camera, and captures 720p video. For some people a five-megapixel camera might be totally sufficient. But a photo I snapped of a fountain in broad daylight looked cool and washed out compared with the same picture captured with the iPhone 5s. Photos taken in low light or using the digital zoom looked especially grainy when compared with other smartphone photos. So if you’re looking to snap a lot of photos outside of the standard Facebook-and-Instagram fare, the Moto G might fall short of your expectations. But otherwise, the Moto G is the “budget” phone to beat.